Korea Tour Package: Mt. Seorak Tour – A Seoul Tour Guide can Help You to Know More About This Amazing Place! Mt. Seorak Tour – A Seoul Tour Guide can Help You to Know More About This Amazing Place! If you are planning to visit South Korea or you are already there then never miss the chance to opt for a Mt. Seorak tour. This type of tour can make your touring time even better and more enjoyable for sure. This is the place where you can hang out with your friends and family members for a long time while watching some of the best sceneries this mountain uses to produce. Spending some time at Mt. Seorak can really make you feel better as a visitor. Once you reach that peak and start watching the other mountains and forest, it can deliver you a great pleasure. Ask your Seoul tour guide to arrange the Mt. Seorak tour now! Mt. Seorak is also named as Seoraksan. This one is the highest peak located at mountain range named as Taebaek. This mountain range is located at Gangwon province of South Korea. Close to the Sokcho city, the Mt. Seorak is located. It also has the national park that you will love to explore. This one is the third highest peak located at South Korea. However, the first one in this list is the Hallasan volcano located in Jeju Island and the second one is the Jirisan which is located south to Mt. Seorak. There is a peak located in Mt. Seorak named as Daechongbong which is 5,603 feet high. 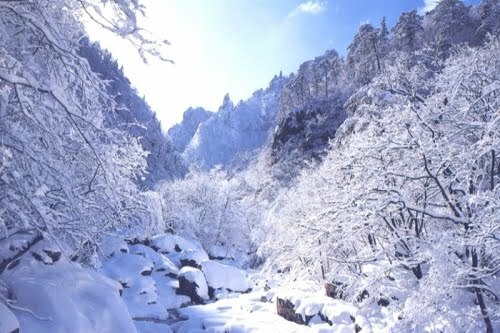 For Korean Peninsula, the Taebaek mountain range is often known as the backbone. In order to reach for Mt. Seorak, you can have few transport options. You can take the intercity bus that leaves from Dong Seoul bus terminal to the Sokcho city. This bus is available at a gap of every thirty minute. From the Sokcho city’s bus terminal, you can hire a taxi that will take you for the Mt. Seorak tour. This may take fifteen to twenty minutes to reach the Seoraksan. Having the best Seoul tour guide can always help you to collect more details about such amazing places in South Korea. There are many other places also located in this country that can mesmerize you once you are there. Well, the Mt. Seorak is a must see place and you shouldn’t miss the chance to visit it when you are in South Korea. If you really want to make your tour to Korea memorable, then you must move for the Mt. Seorak tour. This will add a different twist for your overall tour.